Prenatal period is the most special time in a woman’s life and the most sensitive too. A new life is growing inside of you; your body is not only yours;it is being shared by a little angel. So, it is imperative for women to take care of themselves during this time of their life. There is a lot of hormonal change during this period leading to infamous mood swings; this hormonal imbalance can also cause variation in the normal pressure of blood in the mother’s body. Usually, the systems in the bodyare highly equipped to maintain this pressure, although it gets low during the middle of the gestation periods, it is compensated later, so that is not that big of an issue. The real problem arises when this becomes higher than normal. One or two incidences might be normal,but a consistent increase should ring some bells. 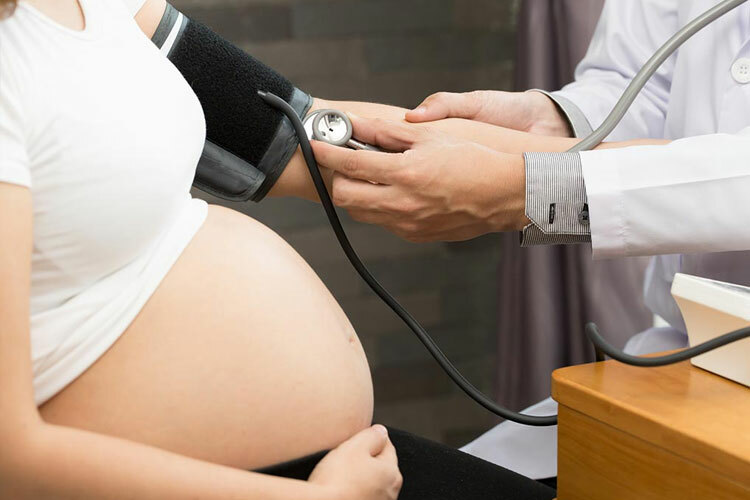 If you’re an expecting mother with a consistently high Blood Pressure, then you should consult your physician as it is not normal. Either the patient was hypertensive before the pregnancy and is curious about her blood pressure status during the gestation period. The patient was normotensive (normal blood pressure) before the pregnancy, but it started to rise once the baby was conceived. It should be noted that If this raise started in first 20 weeks, then it may be due to some old chronic hypertension that got aggravated because of the hormonal condition. High blood pressure before pregnancy, what should you Do? If you have high blood pressure or what is known as chronic hypertension in scientific terms, the should consider consulting a physician before conceiving; there might be a chance that he can advise you to avoid pregnancy altogether depending upon the condition. As pregnancy can aggravate your condition and it can cause serious harms to the mother as well as the child. Even if the doctor allows the pregnancy, he might change some of your medications as they can be harmful to the baby. So, it is essential to visit a doctor if you already are a patient of chronic hypertension. Hypertension that appears for the first time after the 20 weeks of pregnancy without any proteins in urine is known as gestational hypertension. The important thing in this sort of condition is to rule out the preeclampsia. Therefore, if hypertension is detected after 20 weeks of gestation, it is important to perform a medical checkup that includes urine tests. Preeclampsia is a high blood pressure that appears in the second half of pregnancy. It is accompanied by the presence of proteins in the urine and, sometimes, a rapid, generalized swelling. Preeclampsia can get quite serious, so it is very important to keep it in check. Therefore, regular blood pressure and urine tests should be performed to detect this condition as early as possible. Alteration of the liver in the analytical tests. How much high is high? When we talk about high blood pressure, the question arises how high is high? How far can it rise and still be in the normal range? The normal range is 120/80. But it should concern you on a serious level if it gets above 160/110 mmHg. What are the Symptoms you can expect? How to lower the high blood pressure in pregnancy? Some natural methods help lower the increases in blood pressure during pregnancy. The drinks were given down below help lower high blood pressure, and they nourish our body as well as provide nourishment to the body as well. Moreover, these drinks are made up of very easy to obtain ingredients both in our kitchen and in the supermarket and on the other hand they are easy to make as well. lemon juicediluted in abundant water is one of the most popular remedies to combat hypertension however it can be prepared differently for a change. Drink it on an empty stomach for nine days in a row. Eggplant water is another beverage that if taken regularly, can help treat hypertension. Others include celery, hawthorn infusion, green smoothies and other fresh juices with lots of water. Soft sports(walking, swimming) help, since when exercising the pressure rises transiently, but then it falls below the level it was before performing the activity. The doctor will assess if it is appropriate to take antihypertensive drugs; hypertension can be a compensatory mechanism so that the placenta does not lack blood. Therefore, only in some cases should be treated with medication.